Trouville is on the Normandy coast to the east of Honfleur and next to Deauville (which lies on the other bank of the Touques river). 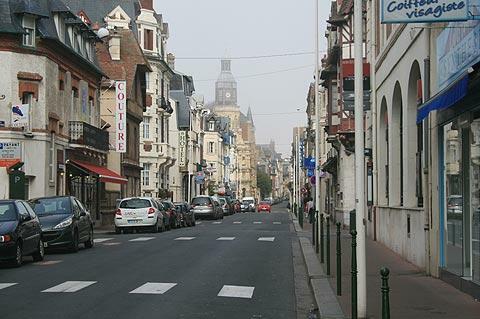 Its full name is Trouville-sur-Mer. Although it has a history dating back several hundred years, the town has grown and developed essentially as a seaside resort over the 120 years, although there is still an active and pretty fishing port. Trouville was one of the earliest seaside resorts to be developed in France when the 'new craze' for sea bathing took hold towards the end of the 19th century. 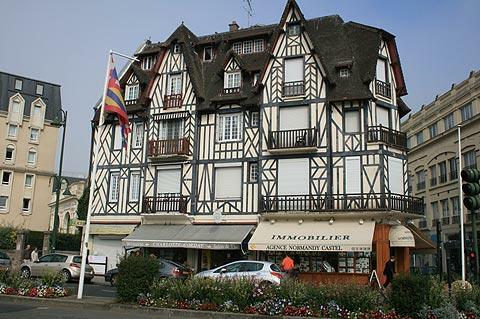 Much of the architecture of the grand houses and hotels in Trouville dates from this period around the end of the 19th century and is what gives an individual character to the town. 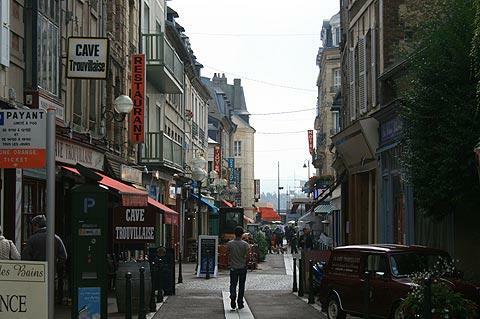 Trouville is now a lively and popular holiday destination, with an attractive large clean beach. The livelier part of the town with most of the shops and restaurants has developed alongside the estuary rather than on the edge of the beach. The area along the harbour is a very popular place for your promenade, and you will also want to explore the streets just behind this area. One place of note here is the fish market for which Trouville is famous. 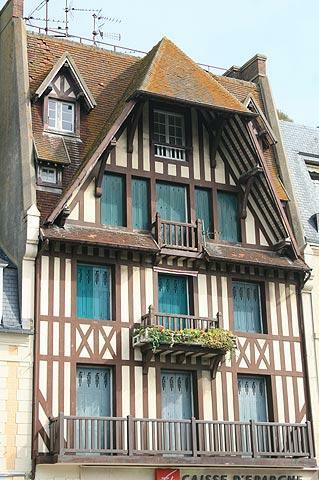 This began life as a wooden building in 1844 but in 1937 a lovely ‘poissonnerie’ or fish market was built in néo-norman style following an architectural competition to choose the final design. The fish market became a listed historic monument in 1991 but was decimated by a fire in 2006. It has now been re-built as an exact replica. 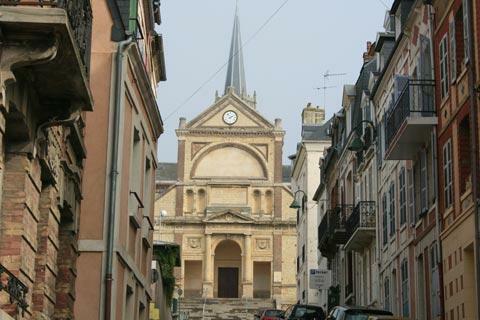 Look out also for the Town Hall, built in Louis XIII style, and the ‘Escalier du serpent’ which is a series of 100 steps taking you up to the heights of Trouville and offering fabulous views of the town and sea below. 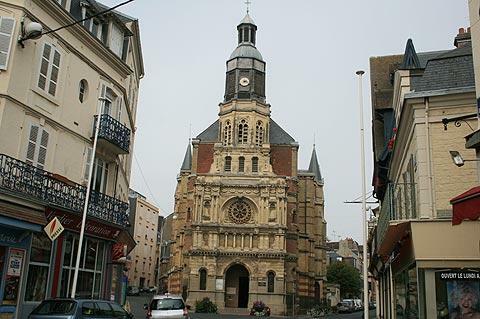 The tourist office organises guided tours of Trouville to help you discover the history and architecture of the town (English speaking guides are available). 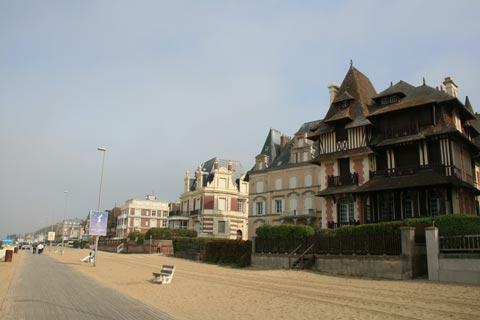 The beach is a long expanse of sand typical of the Normandy coastline, but here in Trouville it has a wooden boardwalk which was laid in 1867 and beautiful villas line the beach front. 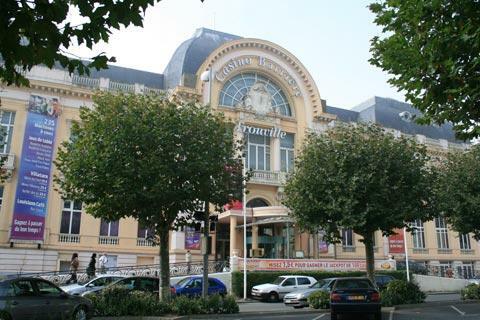 From 1852 to 1870 Trouville was 'Queen of the Beaches' and was a very famous and popular beach resort. During this period the casino and many of the villas were built. These remain today and were used recently as a backdrop to scenes of a film about Coco Chanel. One of the villas, the Montebello villa built in 1866, now houses a museum which includes paintings by Charles Mozin. 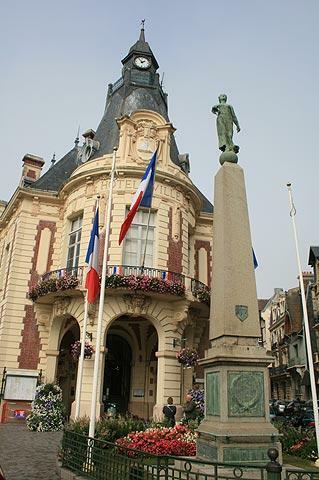 Charles Mozin is said to have ‘discovered’ Trouville. He painted the town back in 1852 and following exhibitions of his paintings other artists and authors including Monet, Dumas and Flaubert came to the town and its fame spread. As well as the inevitable sea-based activities and sports, horseriding and golf are also popular activities with those visiting Trouville-sur-Mer. There are also a couple of marked trails into the surrounding countryside when you need to escape from the bustle for a while. If the sea is a bit too cool for you, the town has large heated pools near the beach (indoors and outdoors) that will make sure the children still have a great time, and there is also an aquarium in Trouville. Market day is Wednesday and Sunday mornings, and the fish market is open every day. Fish is a speciality in lots of the restaurants of Trouville, including moules frites, (mussels and chips) a popular dish in all of France’s sea-side towns. 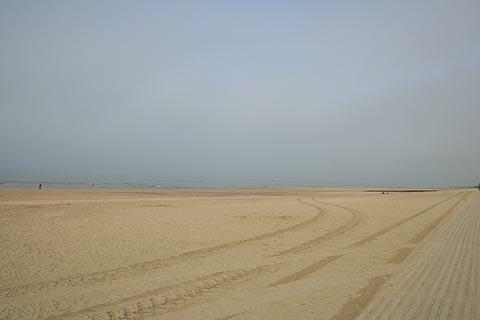 You will certainly want to visit Deauville, one of the most attractive resorts in northern France and just a couple of kilometres from Trouvelle, during your stay here. 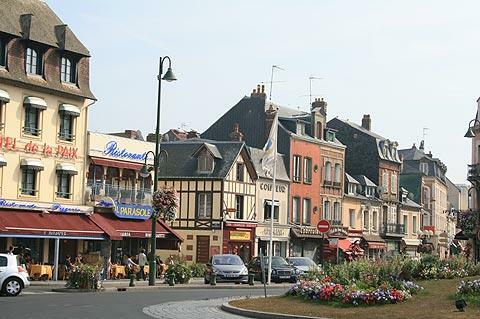 Other local highlights include Honfleur to the north-east and Cabourg and Houlgate to the south-west.